N 44º 54' 13.49" W 76º 1' 17.83"
Search for a Business, Product, Service or Information quickly. WELCOME To the Town of Smiths Falls Ontario. BeautifulSmithsFalls.com has been created as a tourist information site and to help local merchants promote their business on-line. Local airport - 4000 ft. runway. Skilled and semi skilled labour force. Full range of childcare and medical services. Centrally located in Eastern Ontario, we are the hub for tourism. Come for a day, a week, a month, or make it your home; there's always a warm welcome awaiting you in Beautiful Smiths Falls. 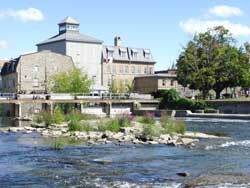 Located in a parkland setting along the Rideau Canal, located on Hwy 15, Smiths Falls is within easy commuting distance of Ottawa, Kingston, Western Quebec, Upper New York State, and all of Eastern Ontario. 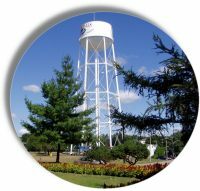 Smiths Falls' history dates from the American Revolutionary War (United Empire Loyalists) and was established as part of a stragetic defence plan against invasion from the south. It was in the late 1700's when UEL Thomas Smyth received a gift of 400 acres from the Royal Commission. Later Smyth, as well as other settlers, used the many falls in the region to build sawmills and other water-powered businesses. By 1860 there were apporximately 1,100 inhabitants. 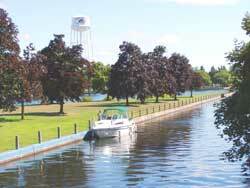 Nestled in a picturesque setting along the Rideau Canal, today Smiths Falls is a modern community with old-world charm. 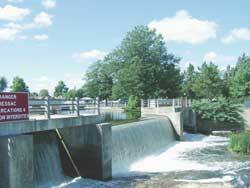 There is a great wealth of Canadian history, architecture, and culture to be found in Smiths Falls. Participate in the festivals and organized activities. Get in touch with a big piece of Canadian history. Whether single, a couple, family, youth or adult, a memorable vacation awaits each and everyone. Discover the legacy left behind by those who settled Eastern Ontario. 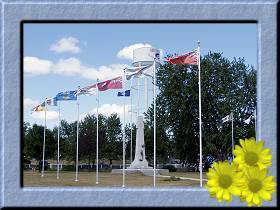 Smiths Falls truly is a historical momument to be seen in all its beauty. Come explore, discover, and experience all that Beautiful Smiths Falls has to offer. 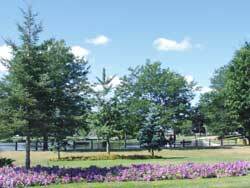 "Getaway to Smiths Falls for a breath of fresh air. Get out of the city, kick back and relax. It's an excellent community in which to live, work, play and conduct business; a friendly town where helpful people care. Come for a day, a week, a month, or better yet - make it your home!